Loopy Lore is a co-op game where you tell stories with your friends. 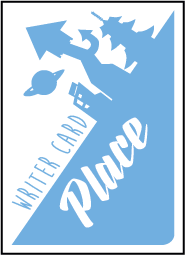 Players use 6 decks and their imagination to give shape to their tale, working together to reach an Ending planned at the start. With a simple setup and fast play, Loopy Lore welcomes everyone to the table to flex that quick wit. Just be ready for the Plot Twists your friends will throw at you! Using the Setting and Theme cards, players discuss the Ending of the story together. The Ending is also the goal, it's how you win, so you can make it as hard or simple as you want. 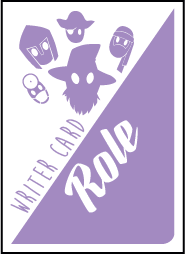 Every round (Chapter) consists of players flipping one card (Action, Role or Place) and elaborating its contents into the story for 30 seconds. Once your turn is up, the next player continues and so on until all cards in the Chapter are spent. 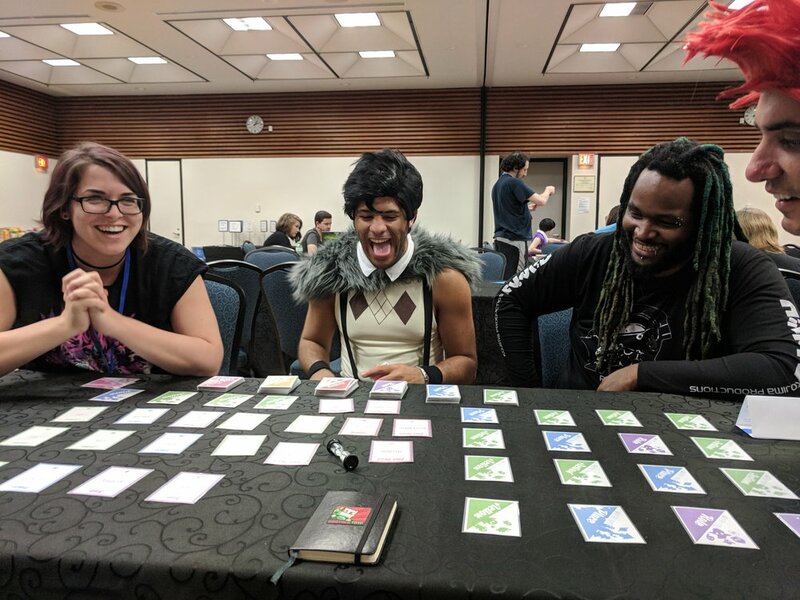 Players are also allowed to play Plot Twist during someone else's turn. These cards will throw your story for loop, but don't worry, they also pause the timer, giving you plenty of time to think of your next words before resuming the story. Guil is the one that makes things work. Starting his career and studies as a Game Designer in 2009, Guil always had a passion for Storytelling in games. Making a game about telling stories seems like the next logical step. My is the one that makes everything look nice. With a deep passion for art and an eye for making gorgeous drafts, My conjures up beautiful versions of everything she works on. You can thank her for Loopy Lore’s bright, wacky aesthetic.